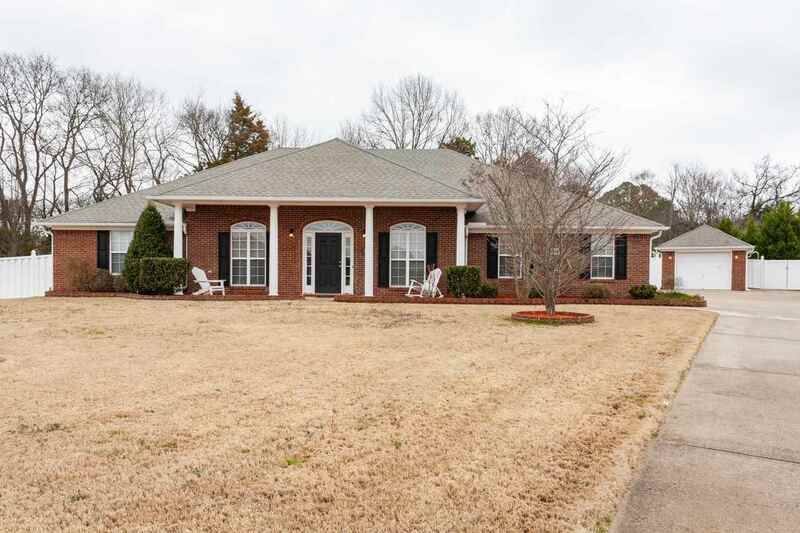 Beautiful 4br/3ba brick home w/MIL suite, inground pool, & detached garage, nestled in quiet cul-de-sac. The backyard is a paradise, featuring sparkling inground pool, overlooking lush landscaping, & private tree-lined backyard. Detached garage doubles as pool house & also offers storage & 3/4 bath! Inside, you'll find a private study w/french doors & dining w/hardwood flooring. Spacious family room w/fireplace overlooks backyrd & opens to kitchen. Kitchen boasts tiled flooring & new stainless appliances, including refrigerator. Mother in law suite/bonus rm offers separate access to exterior & private bath! Master w/private bath & walk in closet! New paint & carpet thru out!